While many business partnerships operate smoothly, some inevitably face obstacles. It may become necessary to hire an attorney when a partnership dispute becomes intractable. Disputes among partners have the potential to destroy the business, making it vital to retain an experienced, careful attorney to find a resolution. People often call something a partnership when it is something else, like a corporation or an LLC. Partnerships can be informal and do not require a written agreement. The factors indicating that persons have created a partnership include: (1) receipt or right to receive a share of profits of the business; (2) expression of an intent to be partners in the business; (3) participation or right to participate in control of the business; (4) agreement to share or sharing losses of the business; or liability for claims by third parties against the business; and (5) agreement to contribute money or property to the business. Shared rights to profits and to control the business are generally considered the most important factors in establishing the existence of a partnership. The relationship between partners in a general partnership is fiduciary in nature, as is the relationship between a general partner and the limited partners in a limited partnership. Partnership disputes happen at all levels, from a business started in two partners’ garages to publicly traded joint ventures. For example, in AIG Highstar Capital, L.P. v. Stagecoach Holding, LLC, et al, Robert Burford represented John Thrash, E Partners, and E Corp in a dispute over ownership of a natural gas storage facility in New York. In Petris v. SAIC, Brent Perry led the effort in proving a partnership existed between two sophisticated companies that resulted in a favorable settlement during trial. 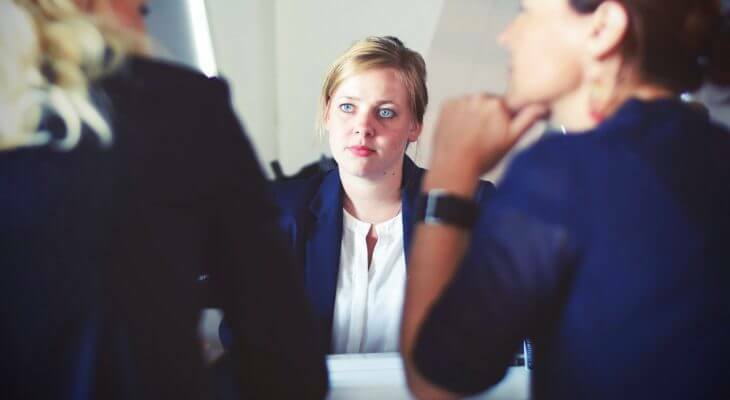 Burford Perry regularly represents business owners in dissolving their business relationships, including partnerships, and can advise you in determining whether a partnership exists. We believe each of these disputes deserves care and attention with the experience to know how to approach each situation. How Do Partnership Disputes Arise? Partnership disputes don’t often appear overnight. Sometimes small disagreements are allowed to snowball to an eventual breaking point. Disputes can make it impossible for partners to make even simple operating decisions to serve their customers. Or, a disgruntled partner could engage in destructive behaviors that jeopardize the business. The best way to protect your business is to contact a lawyer the moment a dispute begins. Partnership disputes can be emotionally charged and complicated, but an experienced lawyer will be able to evaluate the situation and take steps to protect your business. Partnership disputes can be resolved in many ways, particularly with the aid of an experienced attorney. Alternatively, if partners are past the point of negotiating, resolution may be confined to certain complex legal outcomes like business dissolution. At Burford Perry LLP, we believe in obtaining the best outcome for our clients. Sometimes, the best outcome is finding an amicable solution to continue working together and building a business. Other times, partners may choose to dissolve the business or separate, often called a “business divorce.” Partners might consider business dissolution if they have irreconcilable philosophical differences or if one partner violates the terms of their partnership agreement. After putting a tremendous amount of time, money, and energy into a business, it is disappointing to see it dissolved, but it’s important to remember you are entitled to certain portions of the business you worked so hard to create. An experienced partnership dispute attorney can help develop strategies to restructure the business or split it into separate entities, evaluate options for a buyout, prepare you and your business for a valuation, and negotiate fair compensation. Some partnership disputes are resolved through negotiation between parties without an attorney. However, more often than not, partnership disputes require aggressive representation, whether through fierce negotiations or contested court proceedings. At Burford Perry LLP, we understand the representation required to get successful outcomes for clients and the importance of discretion in protecting a business’ reputation. Texas Bus. Org Code § 152.052(a). Crenshaw v. Swenson, 611 S.W.2d 886, 890 (Tex.Civ.App.—Austin 1980, writ ref’d n.r.e.). Our attorneys use the latest technology to provide clients with efficient, high quality work product. We actively seek alternative fee agreements that promote a win-win partnership with clients. For Plaintiffs, we have obtained over $2 billion in combined verdicts and settlements. For Defendants, we have obtained dismissals, summary judgments, and take nothing judgments where alleged damages exceed $1 billion. ©2018 Burford Perry, All rights Reserved.